The 81-meter long, 2822 dwt freighter Lady Rana went ashore on the coast in Sharjah, UAE. The vessel was moored off shore when heavy swells of 3 to 4 meter waves and winds of 54kph pounded the vessel until it lost it’s anchor lines. All the crew onboard were able to save themselves by using a rope ladder as the vessel was close to the shoreline. 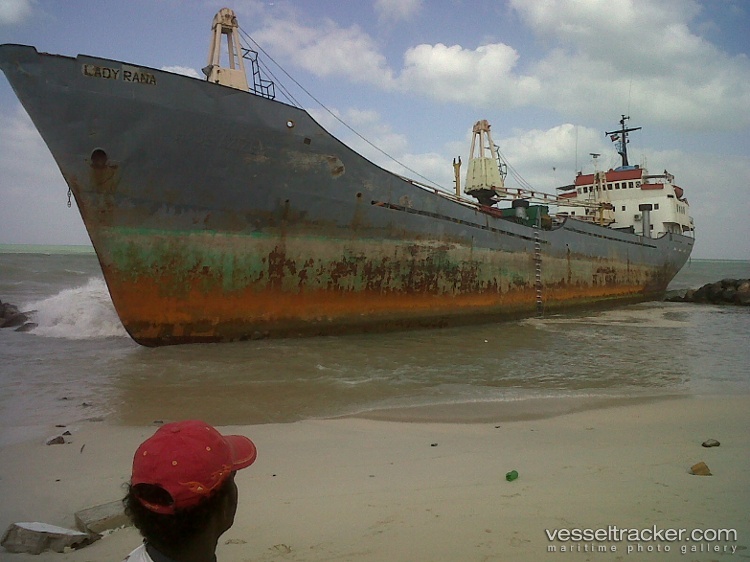 The Lady Rana now rests just 300 feet from the freighter Sea Mermid which went ashore earilier this month (see photo). Salvage will be difficult as the Lady Rana went over several rocks resulting with many holes in the hull.